Dr. Deborah Watry has been selected for a one-year appointment to the Neenah Joint School District Board of Education. Watry is filling a vacancy following the Feb. 5 resignation of Margaret Murphy whose term was set to expire in April 2020. Watry was selected through an application and interview process with the current Board of Education members. She will begin her duties immediately. Watry has over 40 years of experience in education as a teacher, principal, administrator and college professor. She was superintendent of the Manawa School District from 2007-09 after coming to the district in 2002 as an elementary school principal. She taught English for seven years in Chilton and for 20 years in Little Chute. She also served as Curriculum Director in Little Chute. 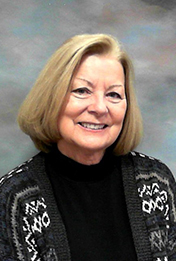 Since retiring from her public education career, Watry has taught courses at Marian University and is now teaching in the Master’s program at UW-Superior. She has presented at numerous international, national, state and local conferences. Watry earned her Bachelor’s Degree in English at UW-Oshkosh and has Master’s Degrees in Curriculum and Supervision from UW-Oshkosh and Educational Administration from Marian. She completed her Ph.D in Educational Leadership/Administration at Marian.